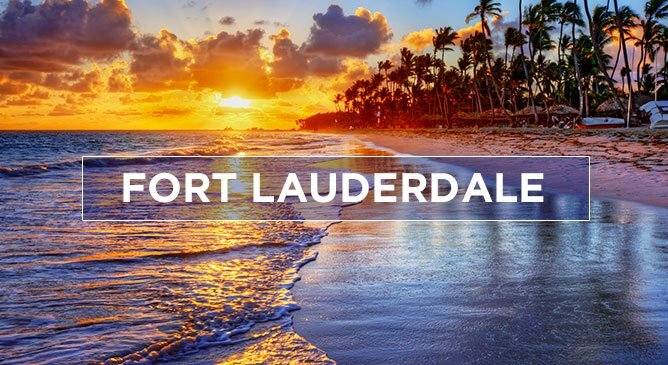 Away from the beaches of Fort Lauderdale there’s a whole lot of things to do for all the family. We've listed some of the most popular things to do. Kids will love Fort Lauderdale's Museum of Discovery and Science. The museum is home to over 200 exhibits including the largest living coral reef in captivity, bats, snakes, the Runways to Rockets aerospace exhibit and an IMAX theater. You're bound to find a learning adventure for the whole family. The most popular Florida Everglades air-boat ride can be found at Sawgrass Recreation Park - only 25 minutes from Fort Lauderdale! Here you can do the Florida Everglades Airboat Adventure and Wildlife Encounter. It’s the perfect introduction to the Everglades and it’s turtles, fish, Florida gators and wading birds. Why not take a day trip to Key West? Enjoy a fun Caribbean atmosphere, street artists, outdoor cafés and more. On your drive from Fort Lauderdale you'll cross 42 bridges, including the Florida Keys’ famous Seven Mile Bridge, which has been used in some Hollywood blockbuster movies. While in Key West, be sure to do the Glass Bottom boat where you’ll discover part of the Florida Reef, the 3rd-largest coral barrier reef in the world.